“Dhak Tree” (beautiful Palash flower tree), once many trees exist in the area; Or from the Bengali word “Dhak” (instrumental sound) or originated for “Dhakeshwari” (a Hindu temple by Ballal Sena). In 7th century, the settlement was started in this area by the Buddist Kingdom of Kamarupa and Pala Empire. The control of Dhaka was gone to Hindu Sena dynasty in the 9th century. Few shops in Lakshmi Bazar, Tanti Bazar, Kamurtuli, Shankhari Bazar, Bania Nagar and Goal Nagar was the heart of old Dhaka. In 1576, The Mughal Empire took the control of this area and developed many mosques, forts, universities, etc. Subahdar Islam Khan was the first Administrator of the city who changes the city name to “Jahangir Nagar in honor of Emperor Jahangir. Jahangir Nagar was dropped soon after the death of Emperor Jahangir. Dhaka City Area / Size : 1463.60 Sq. Km. 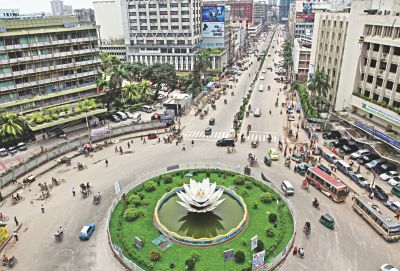 In 2017, Population of Dhaka City is About 19 Million. The city Dhaka is the most populated city in Bangladesh. 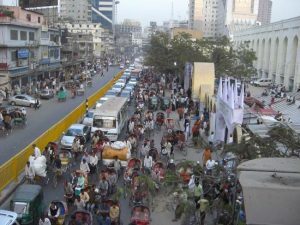 Dhaka is also one of the most populated cities in the World. 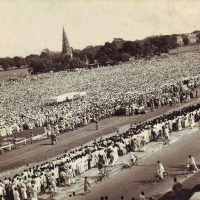 In 1950, the population of Dhaka was 8.5 million but in 2013, the population of Dhaka 14.4 million. In 2017, Dhaka population is about 19 million. The city Dhaka is one the densely populated city of the world. There are 29069 people live in a square kilometer. 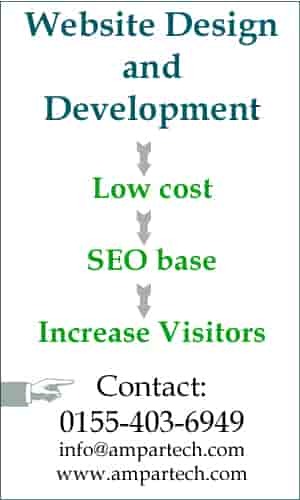 Languages : Bangla, English widely spoken and understood. Working force : 50%of the population aged 10 years and above are in gainfull employment. Garments Works and Household Work (Woman) : :0.8 million. Hindu Temples in Dhaka city: Most popular hindu temples are Dhakeshwari Temple (11th Century), Ramkrishna Mission. Churches in Dhaka City: Popular Churches are Armenian Church (1781 A.D.) St. Mary’s Cathedral at Ramna, Church of Bangladesh or former Holy Rosary Church (1677A.D.) at Tejgaon. Bangabandhu Memorial Museum in Dhaka: It was the residence of Bangabandhu Sheikh Mujibur Rahman at Dhanmondi has been turned into a musuam. Curzon Hall : Beautiful architectural building named after Lord Curzon. Science Faculty of Dhaka University at Karzon Hall. 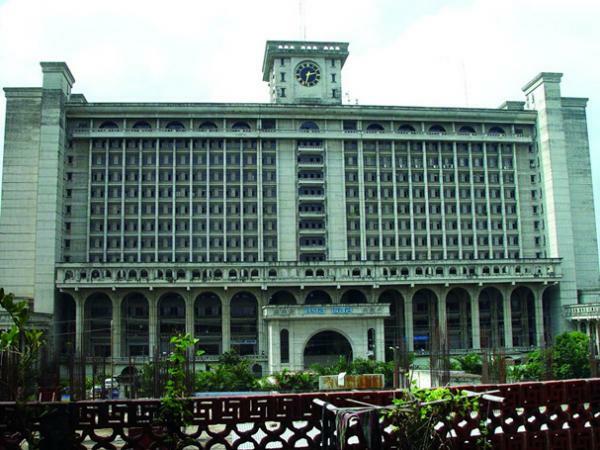 Old High Court Building : Originally built as the residence of the British Governor, it illustrates a happy blend of European and Mughal architecture. Dhaka Zoo : Mirpur Zoo. Botanical Garden : Botanical Garden situated on an area of 205 acres of land at Mirpur and adjacent to Mirpur Dhaka Zoo. National Park : Situated at Rejendrapur, 40 km. north of Dhaka city , this is a vast (1,600 acres) national recreational forest with facilities for picnic and rowing etc. National Poet’s Graveyard : The poet Kazi Nazrul Islam died on the 29 August 1976 and was buried in the graveyard is adjacent to the Dhaka University Mosque. Mausoleum of National Leaders : the mousoleum is located at the southwestern corner of Suhrawardy Uddyan, it is the eternal resting place of great national leaders, Sher-e-Bangla A.K. Fazlul Haque, Hossain Shahid Suhrawardy and Khaja Nazimuddin. BangaBhaban : The official residence of the President of Bangladesh, near Motijheel area of Dhaka city.. One can have an outside view of this grand palace. Ramna Green: A vast stretch of green garden surrounded by a serpentine lake near the Sheraton Hotel. Parliament House : Jatiya Sangsad Bhaban (Parliament House of Bangladesh) located at Sher e Bangla Nagar has distinctive architectural features. the Assembly building was designed by the famous architect Louis I. Kahn, it may be called an architectural wonder of this region. Science Museum : The museum is a modern learning center related to the latest scientific discoveries. Science Museum is situated at Agargaon of Dhaka. 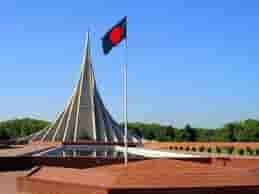 National Memorial : It locates at Savar, 35, km. from Dhaka city. The memorial designed by architect Moinul Hossain is dedicated to the sacred memory of the millions of unknown martyrs of the war of liberation. : 1 st August 1864 .
: District Municipal Improvement Act, 1864.
: Roy Bahadur Ananda Chandra Roy (1885-1885). : Dhaka City Corporation Ordinance, 1983.
: Barrister Abul Hasant . 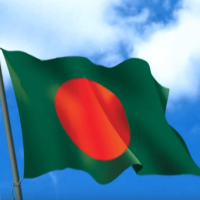 1) What is the capital of Bangladesh? – Dhaka is the capital of Bangladesh. 2) What is the population of Bangladesh? What is the Density of Dhaka City? – 29,069 per Square Kilometer. 3) What is the area of Dhaka? – The area of Dhaka is 1463.60 Square Kilometer. 4) How many mosques are in Dhaka city? 5) Who is the Mayor of Dhaka North City Corporation DNCC? 6) Who is the Mayor of Dhaka South City Corporation DSCC? 7) Dhaka is Dhaka Time?